How do you find out if someone reviewed your document genuinely or superficially? You created a nice document – with lot of effort. You sent it to someone (say, your boss) for further review and refinement. 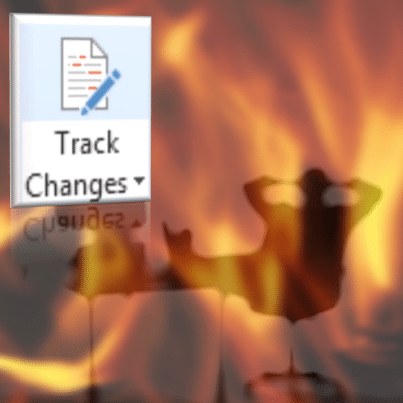 You enabled Track Changes. Boss sent it back to you. Tracked changes are visible. That means the boss has taken some effort. Let us say that document is 15 pages long and there are 12 tracked changes. How will you know that? You cannot ask the Boss. But you can ask Word. The logic is surprisingly simple. Usually you read the document from top to bottom – adding changes and comments as you read further down. See the time difference… Now you know! Needless to say it works with Excel Track Changes and PowerPoint comments as well. Anyone can use this technique with anyone. No hierarchy here. It is just that by talking about boss adds some spice to an otherwise boring topic of technology! As pointed out by David Robinson in a comment, this can lead to wrong interpretation of genuine review. Someone may be really fast at grasping and typing thus requiring little time to review the article. On the other hand, if someone is working intermittently, the duration may be very long but due to frequent interruptions, the quality of the review may be poor. Enjoy. S p r e a d the Word! Could you also note the total editing time under properties in the backstage view? Do this just prior to sending and then once received back? Yes. That is also possible. But some people clear properties – in which case you will lose this information. Another aspect is that you know the distance between two tracked changes. Correlating distance with timestamp also provides useful information (assuming people edit from top to bottom).